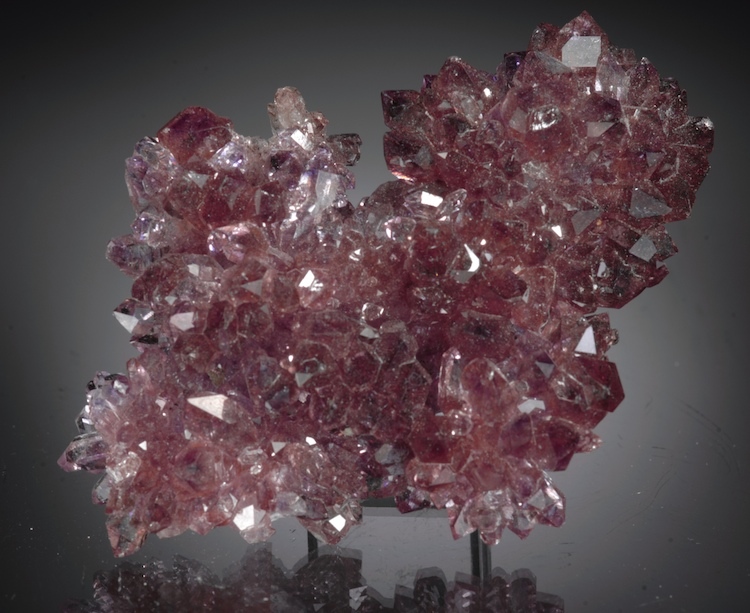 Bright luster, rich color and with very fine esthetics, this is a choice Amethyst flower from Karur. 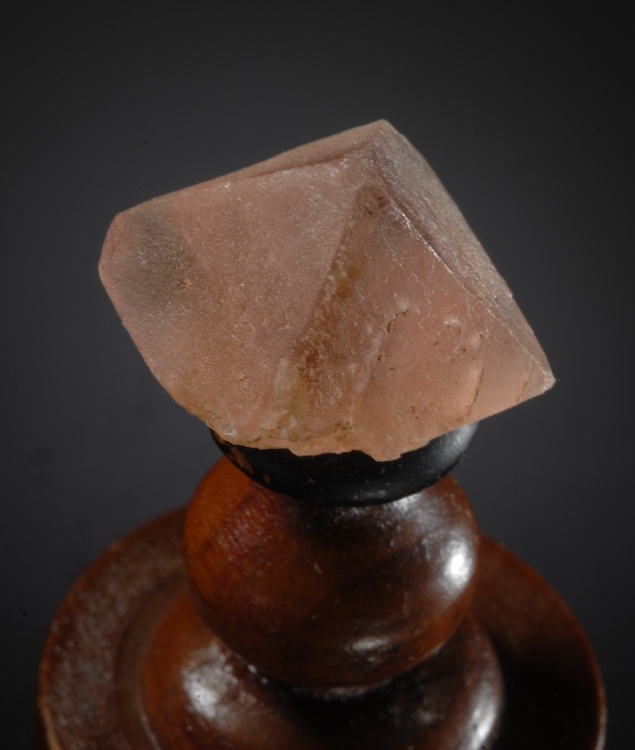 This form of Quartz is known from just a few locations (Brazil etc) but by far the best color, clarity and sharpest habits are from Tamil Nadu in Karur, India. This locality produces small numbers of specimens in a good year, some years there are almost none. This is far better than average, better in person. 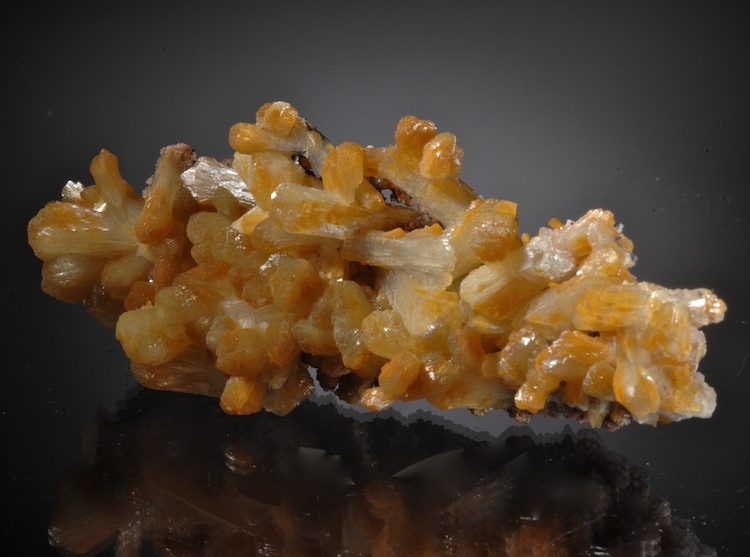 Close examination shows most crystals are thickly included with golden needles, much like Rutile but usually identified as Lepidocrocite. A classic specimen from the famed Lechner collection of Austria, later sold by the Schortmanns in 1950-52. A Gossan and decomposed Galena matrix full of vugs hosts sharp and in some cases gemmy Anglesites. 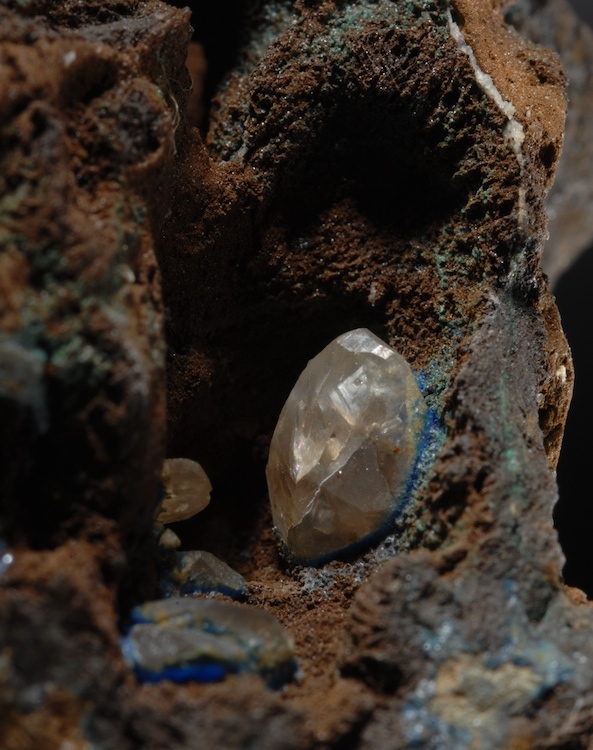 Scattered small Linarite crystals are near, on and in the Anglesites. 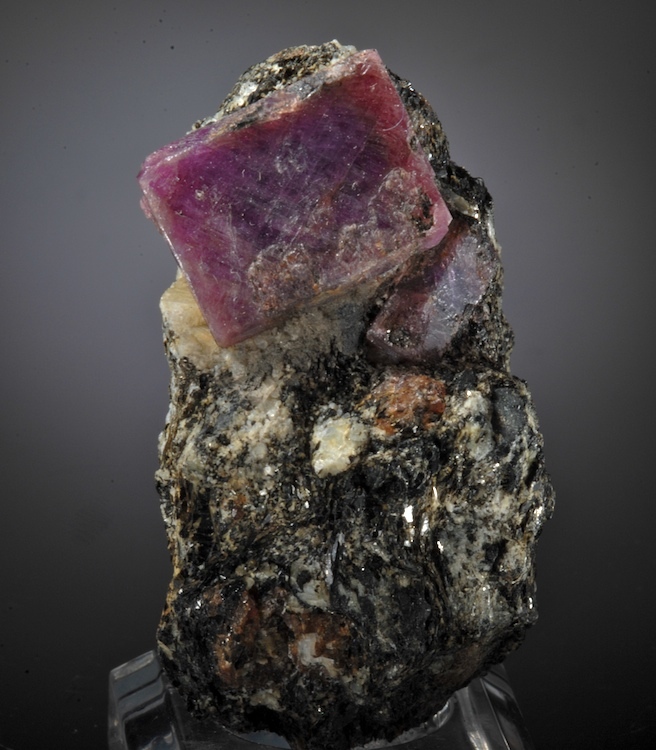 The largest Anglesite is 8MM, several crystal forms and possibly some twinning is noted. Choice old piece. A very old, classic specimen mounted on a 19th century wooden pedestal. Old labels are included one of which shows a date of 1810 or 1870 (very hard to read). Either way this is a classic, antique piece with very good condition, form and clarity in the body. 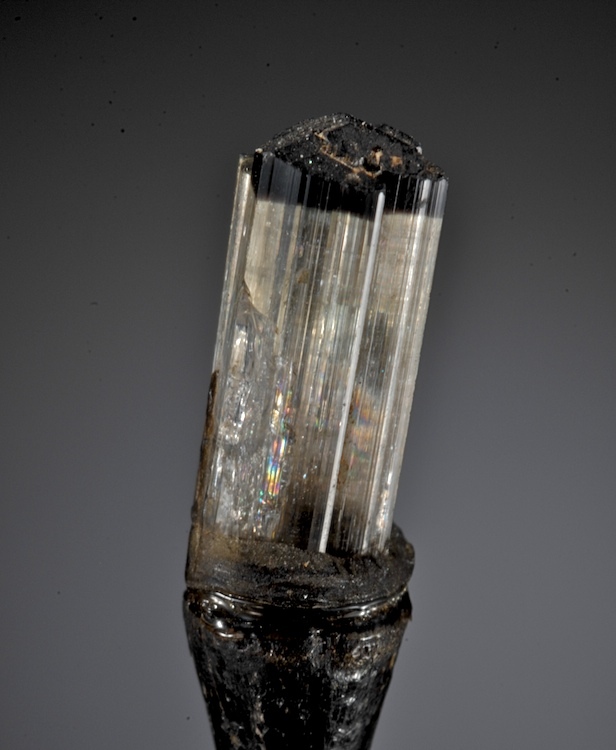 Type locality and a great addition to any display of vintage or modern tourmaline. 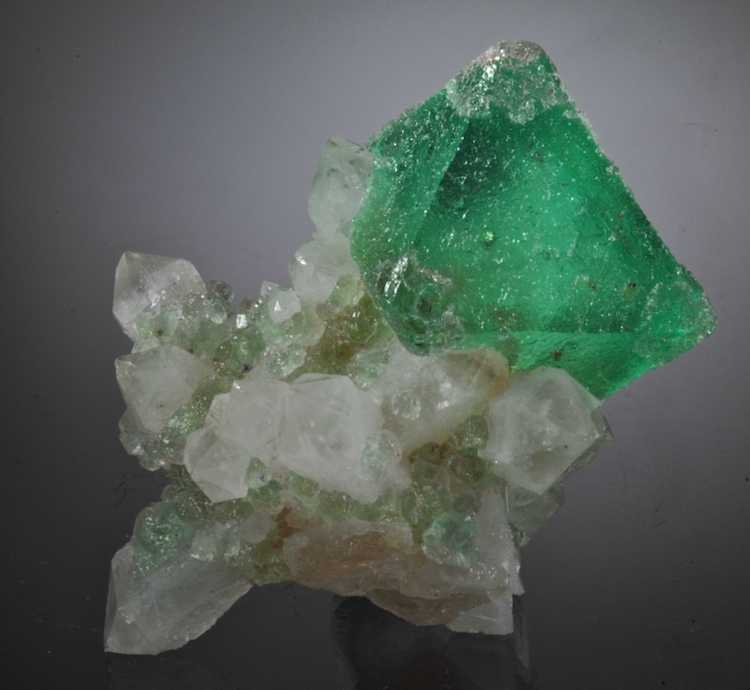 Intense translucent green Octahedron perfectly set on sharp Quartz crystals. Ata quick glance a fine and attractive piece but the really significant feature is seen on a closer look. 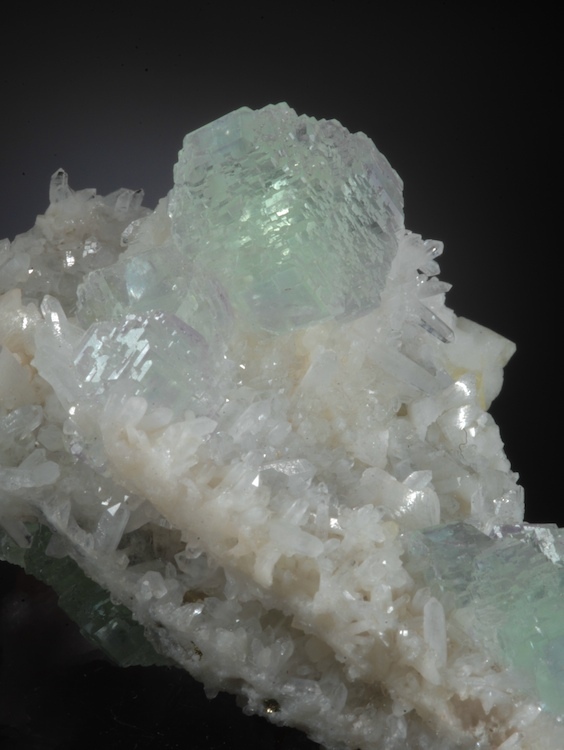 All the corners of the Octa have colorless epitaxial caps of Fluorite that is also well crystallized. A textbook perfect and esthetic specimen with incredible form. In undamaged condition and with top color, this was from a small find at Riemvasmaak 3 years ago.